t+j Designs Blog: May Stripe Style Trend Link Up Winner Results! May Stripe Style Trend Link Up Winner Results! the winner of the "Stripe Style" May Trend Link Up Challenge is Yi-chia from style blog, Always Maylee! If you didn't get a chance to see her look, check it out below & view her entire post here! Special thanks to everyone for linking-up & being so patient for the results! 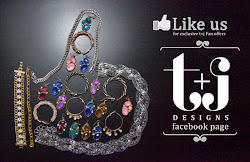 Stay tuned for a Link Up Party every month with amazing t+j Designs prizes!